The importance of St Andrews in medieval Scottish history can be gauged from the rise and fall of its cathedral, the oldest in Scotland; it was begun in 1161 by Bishop Arnold, consecrated in the presence of Robert the Bruce in 1318, and effectively finished off my John Knox in 1559; that is, it was violated after his sermon on the ‘Cleansing of the Temple’. The process of dereliction continued for many years afterwards, as the townspeople carried off the stones and used them for different purposes, mostly secular. All that remains now are parts of the south nave and transept walls, the east and west doorway, and St Regulus’ square tower, which predates the cathedra itself and is the oldest building in the city. West of the cathedral, along the shore, are the fringes of the Royal and Ancient Golf Club- if no longer the ecclesiastical capital of Scotland. St Andrew’s can justify claim to be the golfing capital of the world- which consists of four courses. In the keeping with the democratic traditions of Scotland, they belong to the Links Trust and on payment of a fee are open to anyone, without the need of an introduction. Between the cathedral and the golf course stand the ruins of the 13th century castle, much in use during the Scottish Reformation. It fell into neglect in the 17th century, but still has its bottle dungeon where Reformers were held and, after them, their persecutor Cardinal Beaton- dead, salted and awaiting ‘what exsequies the bishops would prepare for him’, as Knox gloatingly concluded. 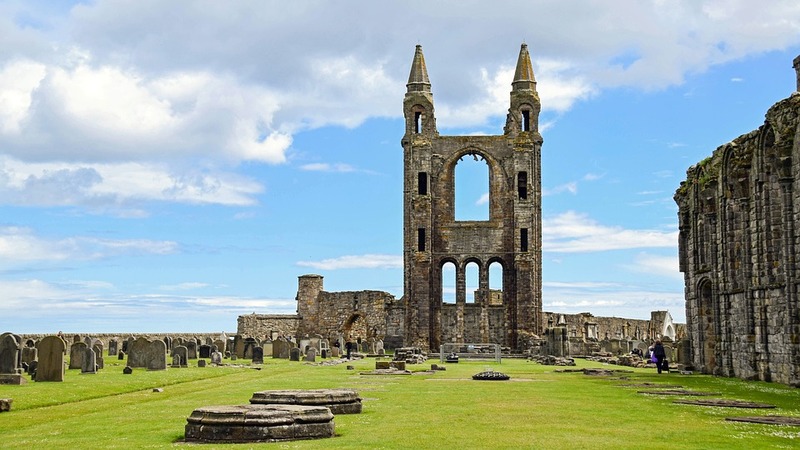 St Andrews Cathedral is a must-see attraction on your Scotland tours, contact us now to organise your visit.